“Exotica” is a musical genre born at the post-war intersection of jet travel and high fidelity. It’s name was coined for Martin Denny’s pioneering debut album, and it’s sound offered an intoxicating blend of world percussion, tribal rhythms, orchestral arrangements, wordless vocals, jazz changes and modern instrumentation. Exotica offered an invitation to an exotic Shangri-La through expansive, often culturally ersatz, sounds. Though born in tropical climes, exotica expanded, particularly in retrospect, to include Asian and Latin influences. The genre’s 1990’s revival, amid a broader look back at “space age bachelor pad” culture, spurred numerous reissues of thrift store rarities, artist anthologies and genre compilations, alongside new books, visual art, weekenders and analyses of the revival itself. Canadian artist Gordon Monahan posited a holy trinity of exotica songs in “Taboo,” “Caravan” and “Quiet Village,” repeating them in triplet form in both performance and on record. “Taboo,” though written by Cuban singer and composer Margarita Lecuona, is closely associated with Hawaiian vibraphonist Arthur Lyman. “Caravan” began its life as a jazz standard written by Juan Tizol and Duke Ellington, and though first performed by the latter in 1936, became an exotica staple in the 1950s. It’s offered here by percussionist Bobby Christian, with a twangy guitar lead and a siren’s ghostly vocal from Christian’s daughter. 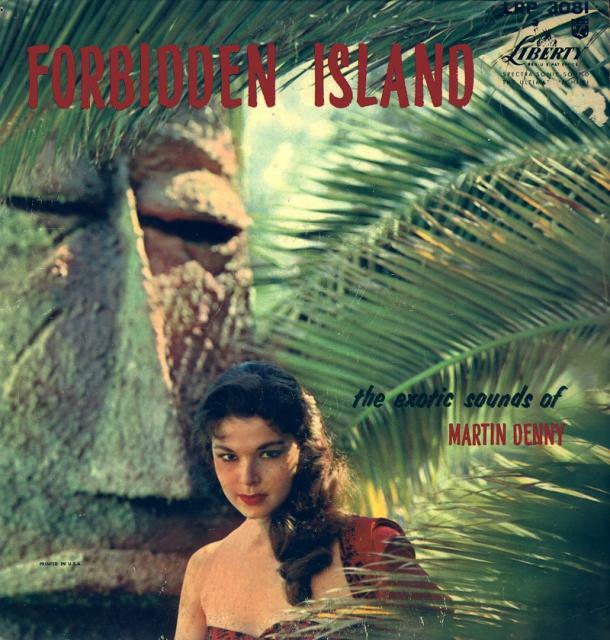 “Quiet Village,” written and originally recorded by Les Baxter, was turned into exotica’s national anthem by Martin Denny’s 1957 arrangement. It appears here in a vocal version by former Our Gang actress Darla Hood, as well as a vibraphone-led instrumental by Five Glow Tones. Disc 2, titled “Rhum Rhapsodies,” expands the program to vocal tracks, giving a feel for some of the not-particularly-exotic acts that hitched a ride on the good ship exotica. In addition to a second track by Darla Hood (“Silent Island,” also rendered in a wonderfully moody orchestral arrangement by Modesto Duran), there’s a dramatic harmony chorus on film composer Andre Brummer’s “Tumba,” comic actress Martha Raye cover of the exotica chestnut “Lotus Land,” Jerry Warren’s Paul Anka-styled B-side “Enchantress,” the Potted Palm’s AIP-soundtrack-ready “My House of Grass,” and Akim’s frantic “Voodoo Drums.” Don Reed’s sax-heavy cover of “Nature Boy” gains a dollop of exotica cred from its haunting, Yma Sumac-styled vocal, and the Centuries’ “Polynesian Paradise” faintly suggests folk and surf origins, even as the wordless vocalist loses track of the islands’ tranquil feeling. 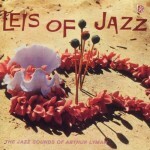 The set’s third disc, titled “Mai Tai Mambos,” returns to instrumentals, sailing into port with Latin, guitar, jazz and orchestral arrangements from Cuban conga player Modesto Duran, Canadian rockabilly Arnie Derksen, Americans Nick Roberts, Eddie “The Sheik” Kochak and Jimmy McGriff, and others. The percussive arrangements and pulse-racing rhythms revive the set’s exotica vibe, with even soul singer Bobby Paris finding an Afro-Cuban groove for 1961’s “Dark Continent.” The instrumentalists take the exotica elements as new flavors – rhythms, instruments, melodic lines and song titles to be imbibed – rather than overt commercial opportunities to be chugged. Each of the three discs harbors unique charms, and listeners may find their favorite shifting with the sybaritic tide. Those looking for a history of native-made Hawaiian music may be disappointed by this set. But they’re about the only ones. Most will enjoy the four discs’ and 102-page hardbound book’s exposition of Hawaiian music and its multiple eruptions in mainstream entertainment. While the set does include a helping of native-made Hawaiian sounds, particularly on disc three, its reach is wider and its statement broader. In both sights and sounds, this set essays both the roots of Hawaiian music, and its many manifestations in pop culture. As the book’s photographs and sheet music art demonstrate, Hawaii has long been both a destination and a mythology, and there are few places the two elements have fused more fully than in music. Tempted by brilliant poster imagery and stoked by the speed of plane travel, South Seas tourism flourished in the ‘40s and ‘50s. Upon arriving in the Hawaiian islands, visitors found both authentic and ersatz culture awaiting them. And upon their return to the states, tourists brought back memories and souvenirs that served to deepen Hawaii’s allure as both a vacation getaway and a dramatic visual setting. Hawaii has provided a picturesque backdrop for films, television shows, commercials and even cartoons, and its songs and instruments (particularly the ukulele and steel guitar) provided material for a surprisingly wide range of non-Hawaiian artists. Hulaland pays homage to the stateside displays of Hawaiiana that grew from island roots, blossoming in Hollywood, Chicago, New York and elsewhere. The set opens with Louis Armstrong singing “On a Little Bamboo Bridge,” backed by the Waimea-born Andy Iona and his group, the Islanders. Iona’s mix of traditional melodies and American swing provided a welcome spot for the New Orleans-born Armstrong, and together they lay out a template of the set’s riches. Disc one includes Hawaiiana from several unlikely artists, including Jo Stafford, Ethel Merman, Burns & Allen, Dorothy Lamour and the yodeling country star, Slim Whitman. The disc explores everything from kitschy ‘30s cartoon themes to ‘50s steel-guitar swing, and shows how Hawaiian music was popularized by native-born artists, collaborators and appropriators. Hawaiiana threaded into popular music throughout the ‘50s and ‘60s, with Martin Denny and Arthur Lyman developing their inventive strain of exotica in the mid-50s. Disc two explores these exotic sounds as their waves echoed in a stateside culture gripped by rock ‘n’ roll and surf music. 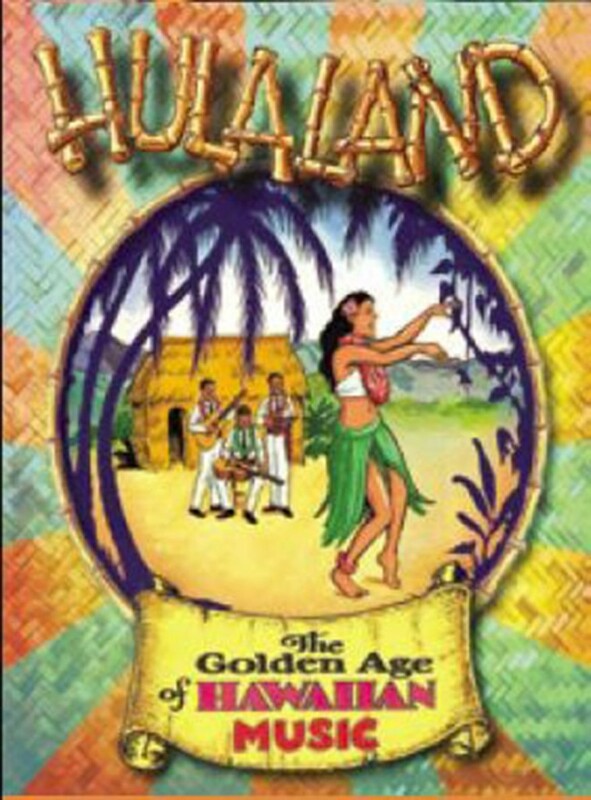 Here you will find the full flower of American media’s fascination with Hawaii in the television themes from “Hawaii Five-O,” “Hawaiian Eye,” and a lap steel variation on “Peter Gunn.” Also included are selections from several of exotica’s pioneers, and others, like organist Earl Grant and guitarist Billy Mure, who were swept up by the wave. By the early ‘60s, Hawaiian music was often more of an ancestral headwater than a direct tributary to the mainstream, as classic island themes were rendered with twanging electric guitars, sung in doo-wop vocals and accompanied by jazz arrangements. Disc three returns the listener to the 1930s for a disc of Hawaiian classics, waxed primarily in Los Angeles and New York, with a few Honolulu recordings thrown in for good measure. The song selections mirror some of the selections on the previous discs (e.g., “Hawaiian War Chant” and “Ukulele Lady”), providing listeners an opportunity to compare. Disc four splits the difference by sampling contemporary acts that play a wide range of material (including the Ventures’ “Walk Don’t Run”) in vintage style. The time hopping between and within the discs adds to the image of Hawaii as a timeless, Xanadu-like paradise. The set’s old-timey acoustic music blends surprisingly well with the Hawaiian-themed jazz and rock, and the last disc’s contemporary performances are powered by the same breezes as the set’s earliest tracks. Like his exotica compatriot Arthur Lyman, Gene Rains was a vibraphonist with a jazz background. And like Lyman, and Lyman’s former band leader Martin Denny, Rains held a tenure at the Hawaiian Village Hotel’s famed Shell Bar. Unlike Lyman and Denny, however, Rains recording career was rather short – three original albums in all – and began a few years after Denny’s 1957 breakthrough with Les Baxter’s “Quiet Village” and Lyman’s return to exotica with 1958’s Taboo. Rains’ three albums for Decca didn’t gain the public renown that greeted Denny and Lyman’s releases, and until this eighteen-track sampler, his music remained available only on pricey, highly sought-after original releases. Rains’ albums followed the same template as Denny’s and Lyman’s, combining Hawaiian folk melodies with standards, Broadway and film tunes and newly written island songs. Rains’ jazz quartet of vibes, piano, bass and world percussion were deft mixologists, and Decca’s engineers captured their sound in crisp, audiophile-quality recordings. 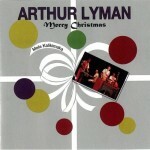 The arrangements are alternately lush, romantic and dramatic, though even with vibraphone at their core, they don’t often swing as freely as Lyman’s work. Pianists Paul Conrad and Bryon Peterson add dramatic arpeggios and deep low notes, and bassist Archie Grant (who’d join Arthur Lyman’s group in the mid-60s) also adds flute, and several tunes are garnished with exotica’s requisite bird and animal calls. Many of this compilation’s titles will be familiar to those who’ve collected Denny’s and Lyman’s albums, but Rains and his quartet put their own spin on the arrangements. Ernesto Lecuona’s “Jungle Drums,” which had been a hit for Artie Shaw in the late ’30s, opens with a dramatic introduction before leaning more heavily on the song’s Latin rhythm than Martin Denny’s vocal chorus arrangement. And “Caravan” (one of the three pillars of Exotica) is really more jazz than exotica, with the vibes, piano and bass each getting a solo spotlight. This is a superb collection, filled with lively playing and original nuances, and the song list includes exotica classics, jazz and popular standards, and a few inventive adaptations. This Los Angeles combo continues to make some of the most unexpected music of the decade. 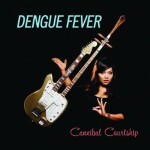 Formed in 2001, Dengue Fever grew out of organist Ethan Holtzman’s interest in 1960s Cambodian rock. Originally setting out to cover the obscurities he’d collected on record, the addition of Cambodian vocalist Chhom Nimol gave the band an elevated sense of authenticity and set them evolving into something more original. Nimol originally stuck to singing in her native Khmer, but here she takes the step to switch between Khmer and English as the each song demands. The music remains anchored to the mix of psych, jazz, pop, garage, exotica and Indian flavors that came together in 1960s Cambodian popular music, and the seamlessness with which it all fits together continues to amaze. Skip Heller is a man of many musical hats. He’s played and produced rockabilly, country, jazz and blues, composed television and film scores, toured with the vocalist Yma Sumac, and worked for the legendary composer Les Baxter. This 2009 release coincided with Heller’s score for Tilt: The Battle to Save Pinball, and is clearly indebted to his work with Baxter (whose signature “Quiet Village” riff is repurposed in the spy-jazz influenced “Hurricane Apartment”), along with the music of Martin Denny, Arthur Lyman and Robert Drasnin. The latter even adds clarinet and saxophone here. Though Heller is often thought of as a guitarist, there’s nary a six-string to be heard in these arrangements. Instead, he plays piano, dulcimer (including a tsimbalom) and chimes; his assembled personnel add a variety of classic exotica instruments, including flute, vibraphone, celesta, harp and hand percussion. 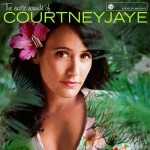 Those who know Courtney Jaye from her 2005 release on Island, Traveling Light, don’t really know Courtney Jaye. A pleasant album with glossy production, an airbrushed cover and some memorable pop hooks, it propelled her into the pop mainstream, culminating with some film and television placements (including a cover of Creedence Clearwater Revival’s “Who’ll Stop the Rain”), and a performance on Jay Leno’s Tonight Show. Not Conan or Letterman or Kimmel, but Leno, which tells you where her label was headed. She could see the direction the machine was taking her career, but unlike many talented young artists who sell their dreams short, Jaye shucked off the industry’s plans, took stock and reinvested in her own artist visions. She relocated to Northern California, Austin and eventually Nashville, and gathered into one set of songs the wide variety of sounds that had excited her ear. 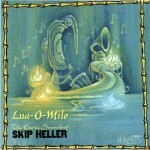 The result is this independently recorded and released second album, with a cover that teases with the allure of Sandy Warner, and pays off with an alchemy of musical styles that bounce from girl-group to Topanga Canyon singer-songwriter to country twang to Hawaiian slack-key and exotica to classic Brill Building pop. Her knack for writing killer pop hooks is not only intact, but amplified by productions that have the spontaneous DIY charms of 1960s singles that weren’t belabored into aural numbness. Stripped of the debut album’s production gloss, Jaye’s voice is freed to launch emotional barbs into your heart. If you listen to only one song on this album, check out the video below for “Don’t Tell a Girl.” The melody and chorus hook are so necessarily repeatable as to make the track’s 3:30 about ten minutes too short. Somebody needs to spring Phil Spector from prison so he can produce a Wall of Sound version of this song. All music files are posted with the express permission of the recording artist or record label. Files are available for at most 30 days. If any of these files infringe upon rights that you hold, please notify us at the e-mail contact below and they will be removed. Reviewed items may have been purchased, rented, borrowed, bartered, streamed, received as gifts or supplied by artists, authors, filmmakers, publishers, manufacturers or publicists. Header courtesy of Jacob Whittaker and Kubrickr.